There are loads of north shore campgrounds! 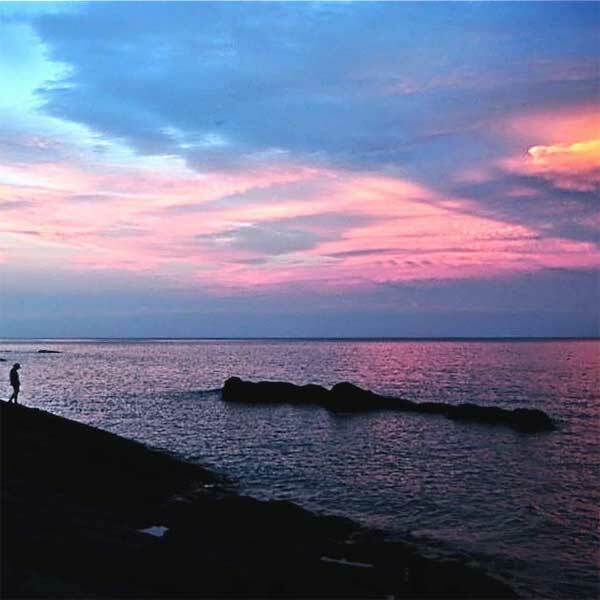 On Lake Superior, you can camp in town at municipal campgrounds in Two Harbors and Grand Marais, a private campground in Schroeder, and four of the state parks. Inland, campgrounds are all on a lake or a river or stream and are hosted privately and publicly. There are many federal campgrounds within the Superior National Forest, and all offer some reservable sites; some sites are rustic and are free, but do not include potable water, trash receptacles, or a hosts. There are a number of State Forest campgrounds, too which are similar to federal sites, but on state land. And all the North Shore state parks offer camping except Grand Portage. State parks offer some hike-in, cart-in sites, kayak sites, group sites and some sites with electric. 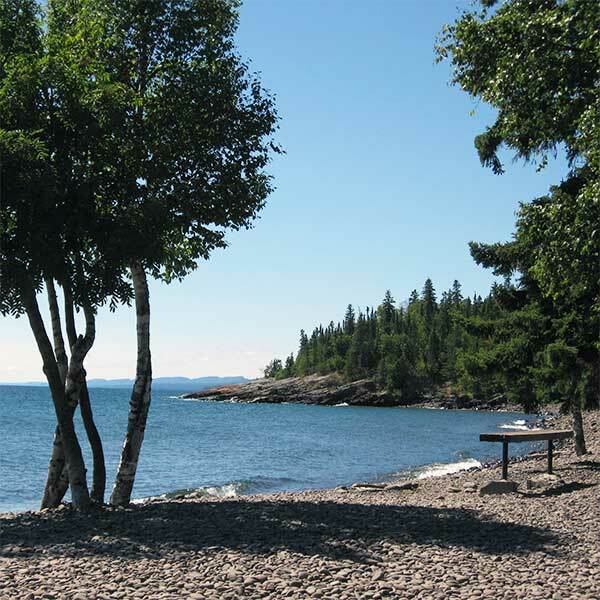 We have the perfect location for a campground – on a peninsula edged by the Harbor on one side, Lake Superior on the other and easy walking distance to downtown shops and restaurants, and the North House Folk School. 300 campsites including full hook-ups, primitive lake view and wooded tent sites, clean bathhouses, discount green fees, playground, softball field, hiking trails, and reduced rates spring and fall. Golden Eagle Lodge offers a private campground with the same personalized service as our cabins. We have 9 sites, each with a picnic table, fire ring, and water and electric hookups. Electric service is 20, 30 and 50 amp. WiFi is available in the main lodge building. Our heated shower house has 2 modern bathrooms with hot water and flush toilets. One Bathroom is wheelchair accessible with a roll in shower. A dump station is also available. 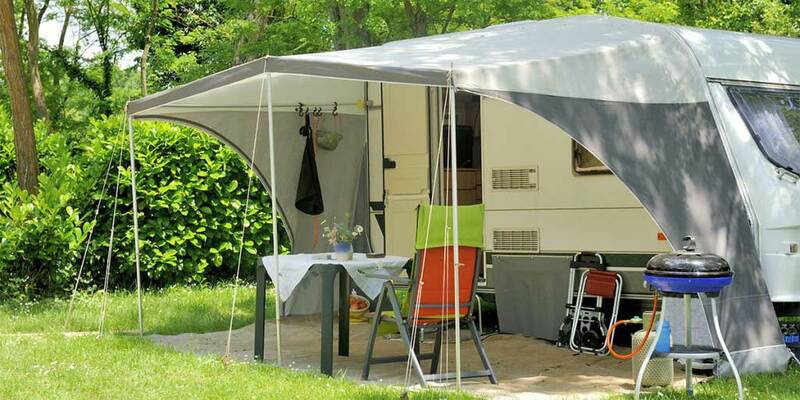 These sites were designed to accommodate all sizes of RVs, Campers, Trailers, and Tents. 16 sites,picnic tables, fishing, fire grates, toilets, are first come-first served, drinking water, are RV accessible (limited length, no hook-ups, though) and fee charged.. A swimming beach, carry down boat access, a picnic site, berry picking and a boat launch a 1/2 mile east. Details here. From Hwy 61, north 4 miles on Gunflint Trail (Co. Rd. 12), west 5.7 miles on Co. Rd. 8, veer left on Co. Rd 57, then left on Berg Blvd. Bring you tent, RV or camper or stay in one of our camping cabins. Our sites are well wooded with natural features and vegetation, offer electric and water service, a rock fire pit and lake frontage for some sites. There is a bathhouse, laundromat, playground and lodge/store building with gifts, groceries & supplies and snackbar. We offer boat & watercraft rentals and can arrange guide service. We welcome families with children and we’re pet friendly! 37 sites, picnic tables, fishing, fire grates, toilets, are first come-first served, drinking water, are RV accessible (limited length, no hook-ups, though) and fee charged. Great fishing lake, near Honeymoon Bluff hiking trail. Details here. From Hwy 61, north 27 miles on Gunflint Trail (Co. Rd. 12), east 2 miles on Clearwater Rd. 33 sites; some along the lake, which is partially within the BWCA, picnic tables, fishing, fire grates, toilets, are first come-first served, drinking water, are RV accessible (limited length, no hook-ups, though) and fee charged. Details here. From Hwy 61, north 25.5 miles on Gunflint Trail (Co. Rd. 12), east 1 mile on E Bearskin Rd. Has 66 sites with water and electric hook-ups; 36 sites with water, electric and sewer hook-ups; and 34 sites with water, sewer and 50 amp electric hook-ups. In addition, there are 10 primitive tent sites. On Burlington Bay of Lake Superior at the eastern edge of Two Harbors. Family oriented campground; tent and trailer sites are spread through the woods and along the shores of Bow Lake and Quiver Lake. Amenities include hiking, swimming, fishing, a playground, and a dump station.s on Bow and Quiver lakes. Horse camping, too. The campground, which is adjacent to the Baptism River, is considered “primitive,” designed to furnish only the basic needs of the camper. The campsites consist of a cleared area, fire ring, and table. In addition, vault toilets, garbage cans, and drinking water are available. All sites are on a first-come, first-served basis for a fee. Eckbeck Campground and Day Use Area is approximately 3 miles from Lake Superior and Tetttegouche State Park, offers the visitor a great alternative to the more developed and heavily used state parks along the North Shore. From MN Hwy 61, take MN Hwy 1, (N) 3.5 miles to the campground. The campsites are considered “primitive,” designed to furnish only the basic needs of the camper. The campsites consist of a cleared area, fire ring, and table. Vault toilets, garbage cans, and drinking water are available. All sites are on a first-come, first-served basis for a fee. Sullivan Lake Campground is tucked along Sullivan Lake. The campground features a boat launch, nature trails, and four day-use picnic sites. From Two Harbors take Co. Rd. 2 (N) 26 mi. to Co. Rd. 15; turn left (W) 0.5 mi; turn left (S) at Sullivan Lake Rd. entrance. 32 sites, picnic tables, fishing, fire grates, toilets, some are reservable, drinking water, are RV accessible (limited length, no hook-ups, though) and fee charged. ; two boat launches, two boat accesses, nearby phone, gas, groceries and sundry items – some RV hook-ups. 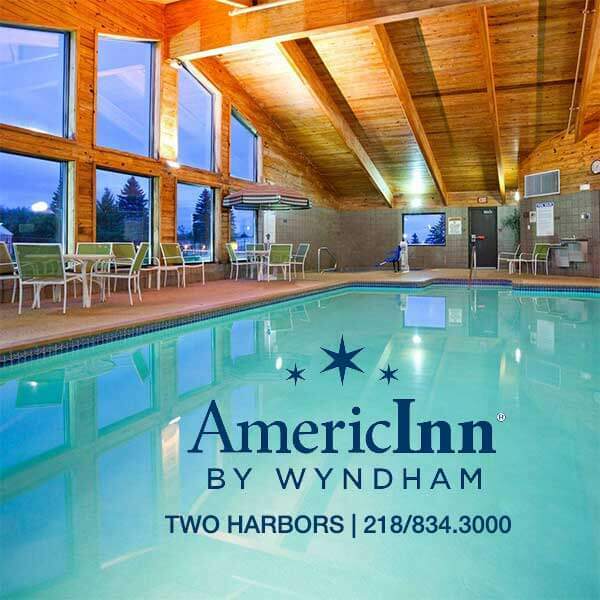 For more information & reservations click here. 69 drive-in sites [no electric] with 3 pull-through, 40′ RV length limit, 1 kayak site, flush toilets, vault toilets, showers, dump station, 3 group sites, public phones, sell firewood & ice, NO electric sites; details here. 36 sites, picnic tables, fishing, fire grates, toilets, are first come-first served, drinking water, are RV accessible (limited length, no hook-ups, though) and fee charged. A boat launch; fishing lake. Offering lakeshore campsites for tenters and RVS; electric hook-up available. Canoe, motor boat and pontoon rental; Also has Lakeside Lodge rooms, Lakeside Vintage cabins and a duplex. All on Lax Lake. 40 drive-in sites [no electric], 3 of these are year-round; 4 pull-through sites, 35′ RV length limit, 5 backpack sites from .5 to 1.5 miles from parking, 2 group camps, showers, flush toilets and vault toilets, sell firewood and ice; details here. Small camping area particularly suited to people who are planning to fish in the Cascade River or are looking for a remote place to camp. There are not tables at the campsites. Fishing requires a valid license from the Minnesota Dept of Natural Resources, and trout fishing requires an additional stamp. No drinking water, 4 sites, day-use picnic area, no fees charged. Details here. From Highway 61 in Grand Marais, north on the Gunflint Trail to Devil Track Road; left for 4.5 miles and veer left, continue 5 miles to Bally Creek Rd, turn right and campground is there. Finland campground has 39 campsites and is located about 7 miles from Lake Superior and Tettegouche. The campground is situated at the confluence of the east and west branches of the Baptism River adjacent to the village of Finland. The Finland campground allows ingress/egress with ATVs to 15 designated campsites with access to the Moose Walk/Moose Run and Red Dot ATV trail systems. The campground also has a reservable group campsite. From Hwy 61, take Hwy 1 to the village of Finland. From Finland, take Lake County Road 6 about 1/2 mile to the campground. 28 drive-in sites on the Baptism River, about 1.5 miles from Lake Superior; secluded and well-screened. 22 electric sites, 60′ RV length limit, 13 cart-in sites near Lake Superior’s shores, 5 backpack sites along the Superior Hiking Trail, 6 walk-in sites on the Baptism River, 5 kayak sites, 2 group sites, flush toilets, vault toilets, showers, dump station in Silver Bay, public phones, sell firewood & ice. Also offers cabins at Tettegouche Camp and the Illgen Falls Cabin. Details here. 20 beautiful walk-in/cart-in sites, secluded and within 2000′ of parking; 4 backpack sites .5 to 2 miles from parking, 2 are kayak sites, 2 accessible sites in cart-in campground, flush toilets, vault toilets, showers, carts available for campers to transport gear, public phones, sell firewood & ice; details here. Easily reached rustic campground on a beautiful medium sized lake. It features a boat launch and an accessible fishing pier, as well as some wonderful white pines. No fees charged, 3 back country sites, a boat launch and barrier-free fishing pier. From Highway 61 in Lutsen, north on the Caribou Trail about 6 miles to the Honeymoon Trail, west 2.5 miles. 10 sites, picnic tables, fishing, fire grates, toilets, are first come-first served, drinking water, are RV accessible (limited length, no hook-ups, though) and fee charged. Hiking trail around the lake. Nearby Mink Lake has a barrier free fishing pier and swimming beach – note a trout stamp is required to fish on Kimball Lake. Details here. From Hwy 61, north 11 miles on Gunflint Trail (Co. Rd. 12), east 2 miles on Trout Lake Road. On the shore of Poplar Lake, and right next to our dock and sandy beach, we offer wooded campsites complete with electric and water hookups. Pitch your tent or park your RV at any one of our beautiful campsites. 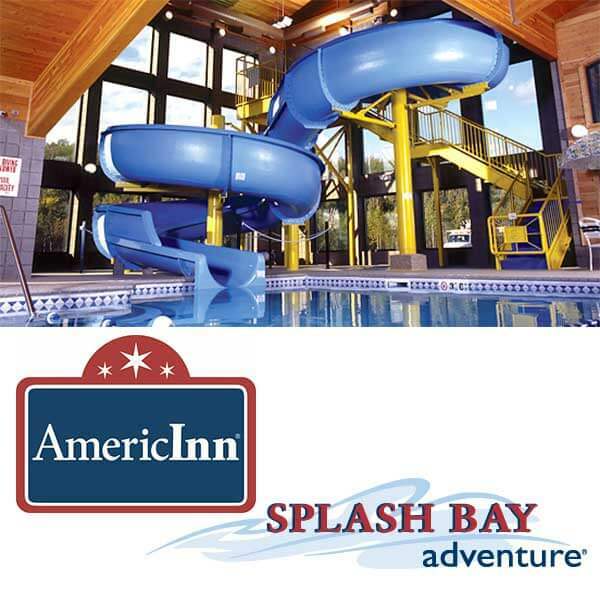 The kids can have fun on the beach, swim, take out a paddleboat, or play at the playground or in the old-time fort. 21 backpack sites; secluded, remote sites ranging from 1/2 to 4 1/2 miles from parking area. Many sites are along the Manitou River and 4 of the sites are near Benson Lake. Vault toilets at the trailhead; field latrines are located near campsites. Details here. Rustic campground on the shore of Clara Lake in a stand of pines. It is close to other lakes as well, so it is a great campground for a weekend of fishing, or just relaxing near the water. No drinking water; 3 back country sites, a boat launch and barrier-free fishing pier. Details here. From Highway 61 in Lutsen, north on Caribou Trail about 8 miles, west on Clara Lake Road about 4 miles. 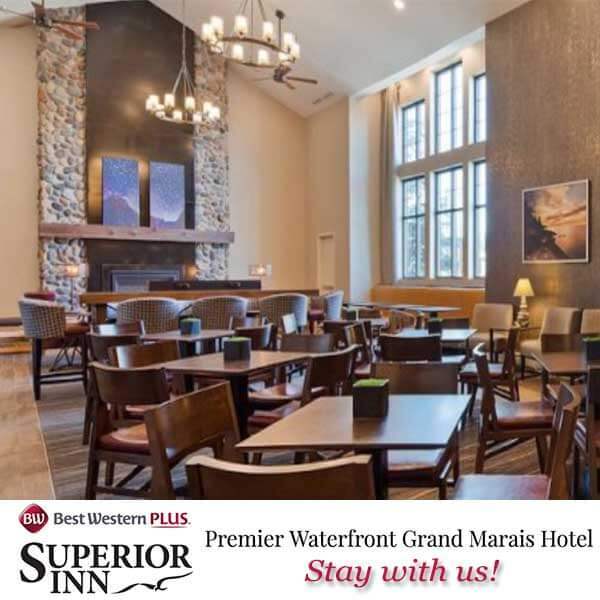 Spacious RV & tent sites; fire pits, picnic tables; showers and flush toilets; located between Scenic 61 and Hwy 61 midway between Duluth & Two Harbors. 7 sites and a carry down boat access, picnic tables, fishing, fire grates, toilets, are first come-first served, drinking water, are RV accessible (limited length, no hook-ups, though) and fee charged. Details here. From Hwy 61, north 36 miles on Gunflint Trail (Co. Rd. 12), east 2 miles on Old Gunflint Trail (don’t turn the first time you see Old Gunflint Trail, you will turn at the 2nd / west entrance). 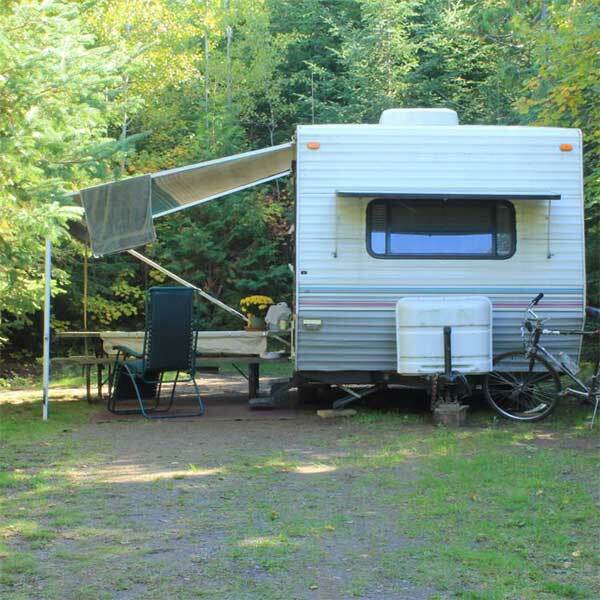 Tent and RV sites with hookups, dump station, fishing, swimming, hiking, a playground and lodge.